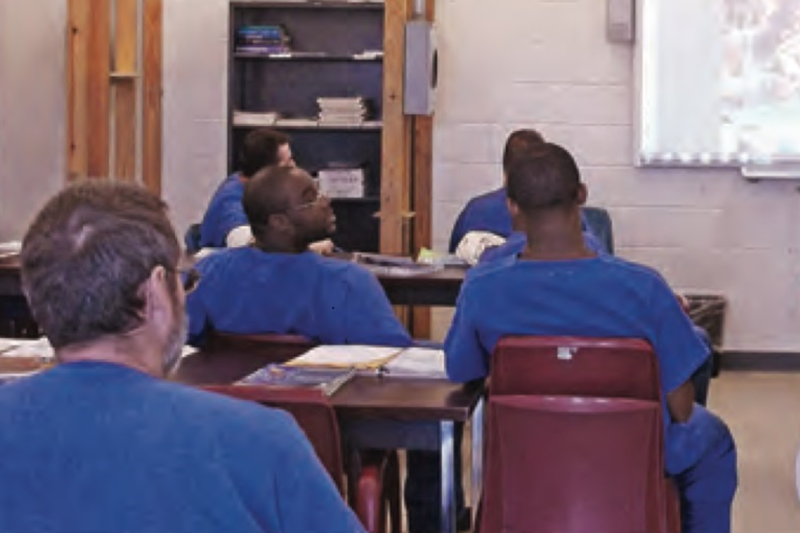 Ninety-four inmates in the Continuum of Care Program at the Graceville Correctional Center in Jackson County, Florida have earned their GEDs this year alone. On purely economic or commercial terms, the concept of a for-profit prison appears to encourage mass incarceration and therefore more injustice, the key issues fueling angst against the private prison industry. In fact, the private companies are not fueling the incarceration. Rather, they are contracted by federal and state governments to grapple with it. One such company appears to have discovered at least part of the solution – a part that manages both prison populations and recidivism. Derrick D. Schofield, Ph.D., executive vice president, Continuum of Care (COC) and Reentry Services at GEO Care, a private prison operator, underscores that the firm “does not go looking for prisoners” but simply serves clients. Those clients are federal and state governments, which facilities are sometimes inadequately staffed and/or overcrowded. Scholars have identified several factors that largely account for the growing prison population. Those factors include enduring economic injustice and racial profiling. It also includes “get-tough-on-crime,” “zero tolerance” and so-called “war on drugs” laws enacted in the 1990s. In this regard, aggressive prosecutors are not only better funded than public defenders but also have incentives to be seen as hard on crime by the public who pays their salaries and – in some instances – who elects them. Therefore, people convicted of non-violent crimes have often been sent to prison under draconian “mandatory minimum” sentences that essentially ties the hands of judges who sends them away to “correctional” institutions. Hasner says 94 COC inmates at GEO’s Graceville Correctional Center in Jackson County, Florida have earned their GEDs this year alone. Yet another recalls his period of incarceration under a public Department of corrections. “They just park you in there and store you like cattle,” he said. The steady increase in the percentage of the U.S. population behind bars in recent decades; especially the disproportionate percentage of African-American and Hispanic inmates, is also deeply enmeshed with America’s history of slavery. Therefore, regardless of the hope that such changes might portend for U.S. incarceration practices, many civil rights leaders, human rights advocates, and policy makers remain staunchly opposed to the concept of private prisons. The moral objections to the very concept of for-profit prisons has fueled lawsuits by human rights groups alleging atrocities, including ICE (Immigration and Customs Enforcement) detainees making as little as $1 an hour while in their facilities. GEO recently threatened to sue one such group, Florida-based Dream Defenders, for liable. But the ACLU contends that the civil rights group remains within legal bounds. Though privately owned and privately run prisons were not established to remedy America’s historic and enduring racial inequality or to revamp the American criminal justice system, the success of GEO Care and other companies in shifting from punishment to rehabilitation appears to offer lessons across the penal system. By helping inmates address addiction, develop meaningful skills needed by employers, and by dealing with some of the psychological and emotional disorders that can lead to repeated criminal behavior, GEO Care has decreased recidivism rates. These innovations alone could gradually change the racial disparities in prison population; therefore benefit society as a whole. “There is a big difference in what the state is attempting to do and what we’re doing,” says Wilton Cloud, Graceville’s assistant warden of programs, who retired from Florida’s Department of Corrections where he spent the last 10 years as an assistant warden. He recalled a recent conversation with a former participant in the COC program that he happened to see in a local McDonald’s. “He thanked us about the program. He said he’s got a good shot now. He’s got custody of his kids, he’s got a job – and that was just like last week,” Cloud said. Overburdened state departments of corrections and overcrowded prisons are often unable to do anything but warehouse inmates. With an inmate population that has tripled more than twice since 1970, overcrowding is now epidemic. The U.S. Justice Department has issued deeply disturbing reports about maintenance, security and services as state budgets fail to keep pace with the increased inmate population. As a result, many correctional institutions now struggle to meet minimal health and safety standards, with plumbing and ventilation systems being the most susceptible to breakdowns. What little money is earmarked for maintenance is often diverted to fill operational shortfalls due largely to overcrowding. Treatment for addictions, counseling, educational programs and job training are lacking in many systems and recidivism rates are high. On the other hand, at a fraction of the cost it would take to build more public prisons, GEO Care and other private companies provide an alternative that can be catalysts for change in the nature of incarceration. In contrast to the often-dismal prisons operated by governments in many southern states, every one of GEO’s facilities are air conditioned. Nearly every one of GEO’s facilities are less than 25 years old, while only a third of state correctional facilities are less than 25 years old. GEO’s facilities have a total of 800 academic and vocational classrooms, all of which have Smartboards for interactive learning. With daily attendance of more than 24,000 in vocational programs and 12,000 in academic programs, on average, inmates at GEO facilities earned 2,615 high school equivalency degrees and were awarded 7,814 vocational certifications. In addition, the GEO Continuum of Care program seeks to address what often contributes to the commission of crime and recidivism, substance abuse and addiction. Part of the $10 million allocated for the COC program has resulted in the completion of 16,632 substance abuse treatments, according to the company’s annual report. Regardless of the diversity of opinions on the morality of privately owned prisons, most sides likely agree that there is nothing that can be done quickly and easily to change the bleak reality of serving time in the United States. However, just as charter schools or private hospitals have maintained their existence as alternatives to their public counterparts and experiment with innovations to improve education or health care, some privately run correctional institutions have apparently established ways to make incarceration more humane and decrease the odds that inmates will return. Though only about 10 percent of state prisoners are in private facilities, in the long run correctional programs offering more human treatment may not only establish models for public prisons to possibly emulate, but also lead to safer communities.